I have recently received a copy of an anthology containing my latest publication. 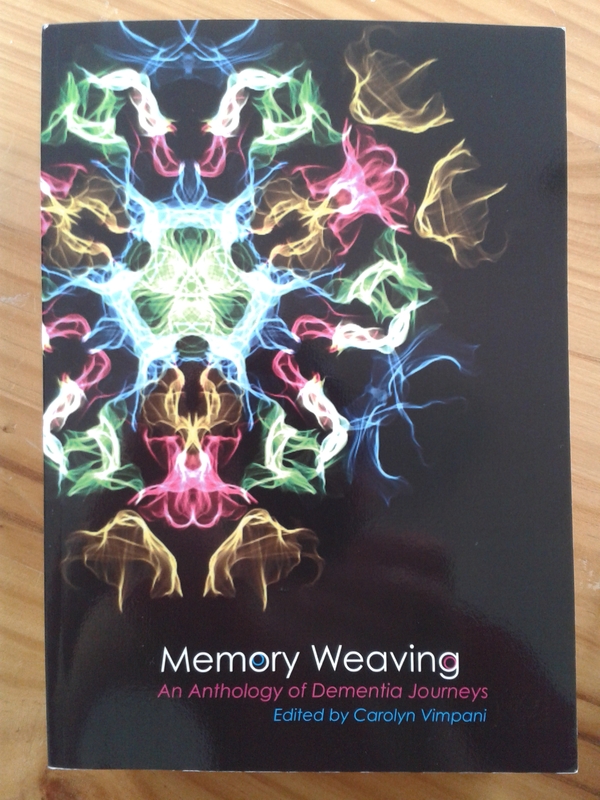 Memory Weaving, published by Poetica Christi Press and edited by Carolyn Vimpani, is a thought-provoking collection of dementia journeys that describes the loss of a person to this debilitating disease. There are poems about anger, confusion, love, grief, acceptance, sometimes humour and surprise, all of which have been thoughtfully grouped together under one of three headings – frayed at the edges, unravelled and threadbare – to denote the gradual lessening of the self to dementia. bewildered starfish beached on the table. with the napkins and knives. to see her teeth grinning back. nods polite to the woman who’s stolen her name. shuffles in slippers to find it again.